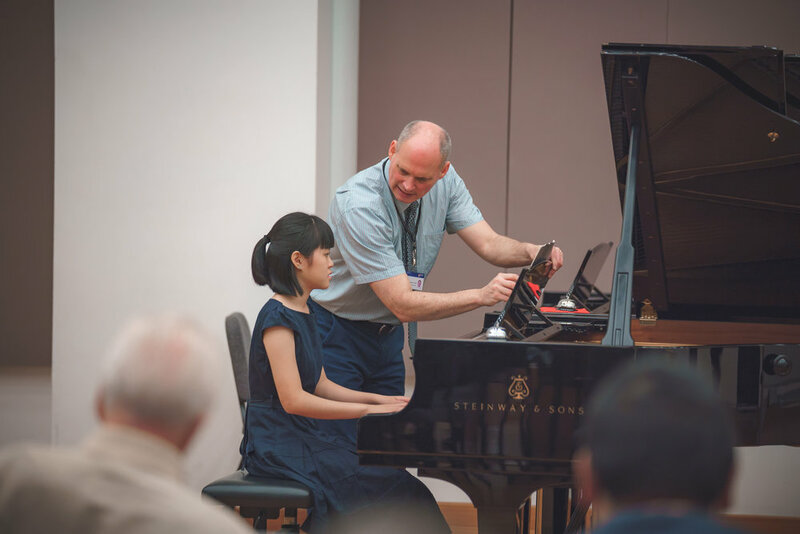 The 2018 YST Piano Academy invited 12 outstanding young piano talents to Singapore for a three-day workshop focused on the preparation of conservatory-level piano auditions. The intensive training course was open to prospective students ages 16 to 18 of all nationalities. Indeed, Academy participants from Singapore, Indonesia, Malaysia, Thailand and the Philippines were featured in specialised public masterclasses, a final gala concert and in daily lessons with YST's distinguished piano faculty, Professor Thomas Hecht and Associate Professor Albert Tiu. The participants selected this year include Anne Yap (Malaysia), Clarissa Amanda (Indonesia), Gregorius Tamadji (Indonesia), Jet Stephen Co Chong (Philippines), Karyn Wibowo (Indonesia), Kezia Wibowo (Indonesia), Khanonvej Chakrit (Thailand), Monacella Gracia (Indonesia), Pun Punyasavatsut (Thailand) and Vivien Chong (Singapore).